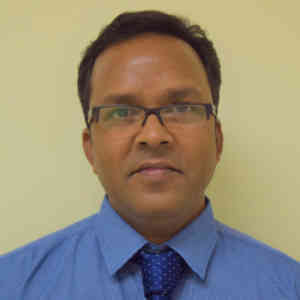 Dr. Rathod Completed his Post graduation in MD Anatomy from M.G.M.Medical College and MBBS from Terna Medical College. He also did Critical care Management Training Program at Breach Candy Hospital & Research center and Training course in Sexual and reproductive health research at WHO, Geneva. Before joining Spartan, he worked as Assistant Professor in Human Anatomy at B.K.L.R.Medical College and MGM Medical College. Prior to that, he worked as a senior medical officer in The Ministry of Health –Maldives. Dr. Rathod won Best paper award and Gold medal in Neuroanatomy for the paper entitled “Comparative study of degenerative changes in normal and Alzheimer’s disease brain” at Regional Chapter of Anatomy Maharashtra. He completed his thesis on “Morphometric study of sacrum in Navi Mumbai population”. Currently, he is working on the research project –“Neuronal degeneration in human hypothalamus”. He brings his extensive experience in teaching, embalming techniques and incorporating newer preservation method to the Department of Anatomy at Spartan Health Sciences University.